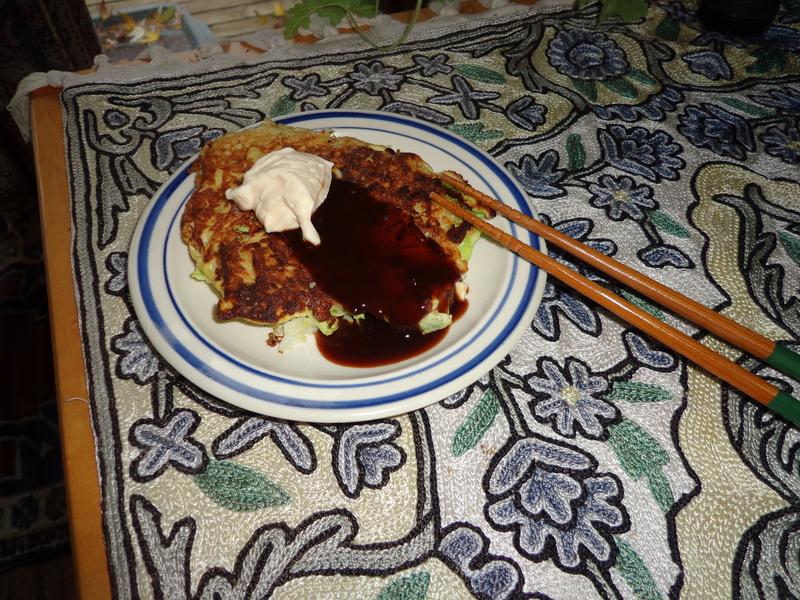 I pretty much lived on okonomiyaki when I was in Osaka; it was a cheap and satisfying meal. 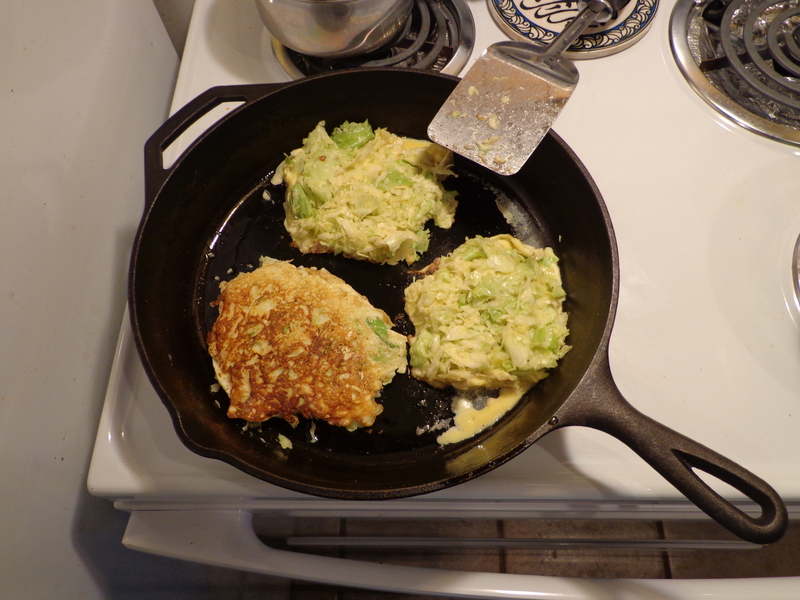 I cooked the vegetable pancake effortlessly at home, but my favourite was hot off the grill on the street, steaming in the winter dark. The vendor/cook always tried to garnish it with tiny silver dried fish and seaweed flakes, but I would stop him in time. The mayo and “oko” sauce was all the topping it needed. I was told that each city in Japan has its own version of okonomiyaki. When I went to Hiroshima the okonomiyaki had corn in it and that struck me as just wrong after months of the Osaka version. oki sauce (see below), mayonnaise. Mix everything together except the bacon. Heat a frying pan with oil and drop a big spoonful in, flattening it into a circle, any size you want. (They’re the size of a pancake in Osaka and smaller in Tokyo.) Add sliced bacon or ham on top. Cook on medium heat, flip it when it turns colour and crisps up. Leave it longer on the second side as the bacon cooks. 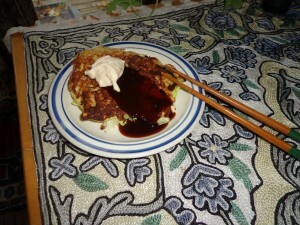 Serve with a dollop of mayo and generous squeeze of okonomiyaki sauce. 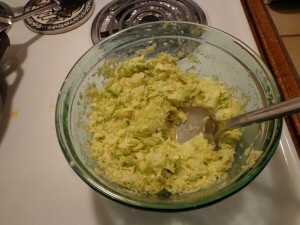 Mix them on top. 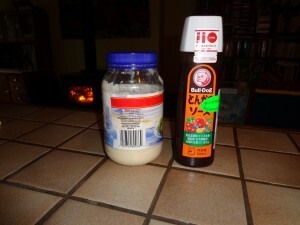 Or, if no tonkatsu sauce is available, just make it with Worcestershire and ketchup. 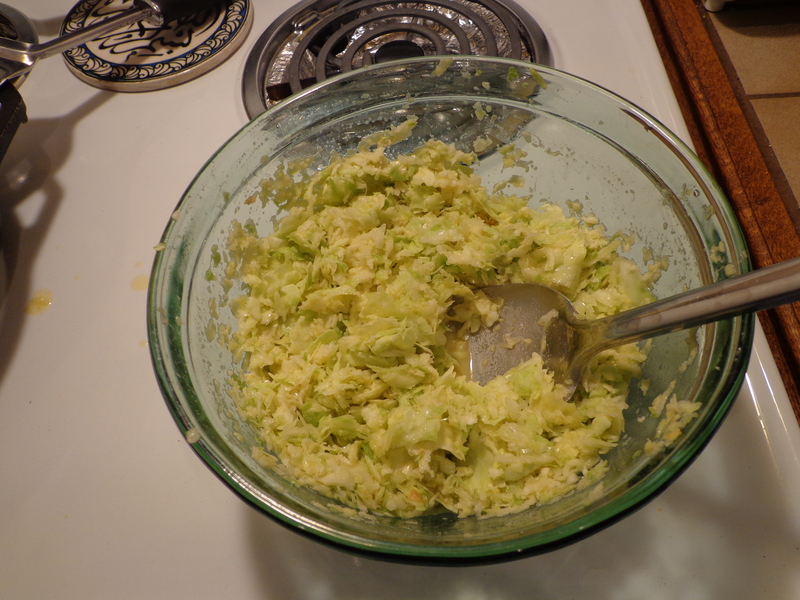 Truth is, “okonomi” means “whatever you want” or “to one’s liking” so feel free to add any grated or chopped veggies. I knew people in Japan who made their okonomiyaki in layers instead of mixing it all together. One gaijin made hers by going light on the eggs and heavy on the flour and ham pieces and adding cheese. (Nothing Japanese about that!) And hey, if you like dried fish and seaweed garnish, there are lots of such little bags in the Asian stores.